Would you like to learn a unique and fascinating skill? Would you like to do something truly useful and worthwhile? Do you enjoy working with your hands and mind? Would you like to be a blacksmith? If so, I suggest you try one of our introductory classes. 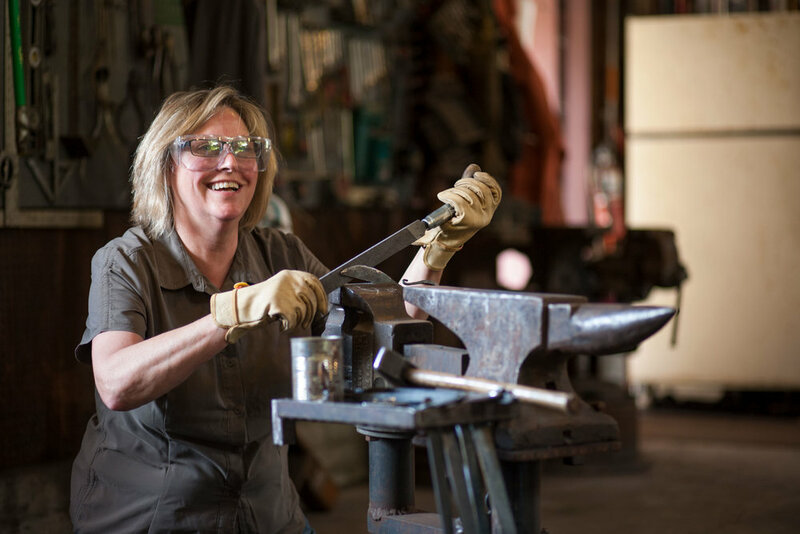 For those drawn to creativity, form and grace we offer monthly Introduction to Blacksmithing classes. 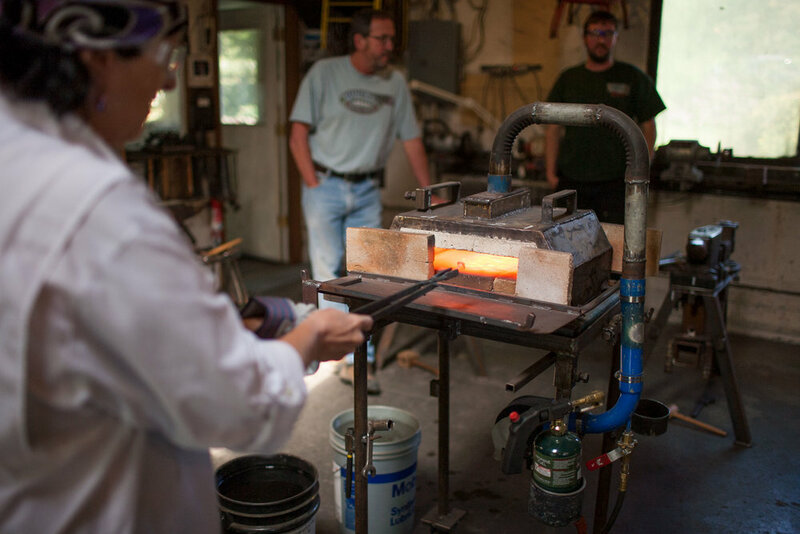 Alternatively, or as a follow-on class, we offer many advanced blacksmithing classes that provide a practical foundation for more advanced forging. Students have the benefit of working in the instructor’s excellently equipped blacksmith shop. Each individual will have their own complete forging station complete with hammers, tongs, anvil, vise, forge, swages and all materials. Each process is thourouhly discussed, carefully demonstrated, and then completed by each student. Personal guidance is given to each student to insure understanding, proper technique and safety. Students are encouraged to bring their own safety glasses, ear protection and cotton or leather gloves. Cotton work clothes ( blue jeans, tee shirt, sweat shirt, baseball hat) and leather work boots are required. Coffee and water are provided but you should bring your own lunch and liquid. Cameras and notepads are welcome. Most importantly, bring a heaping portion of enthusiasm, passion and be ready for a great time!! All classes last one day. Group classes are scheduled on Saturdays, 8:00 AM–5:00 PM and cost $200 each. All classes are also offered on an individual basis and cost $400 each. All class fees must be paid at least five (5) days prior to class date, and are non-refundable, unless prior arrangement has been made with the instructor. Class sizes are strictly limited to six (6) students. Students under eighteen (18) must bee accompanied by an adult. 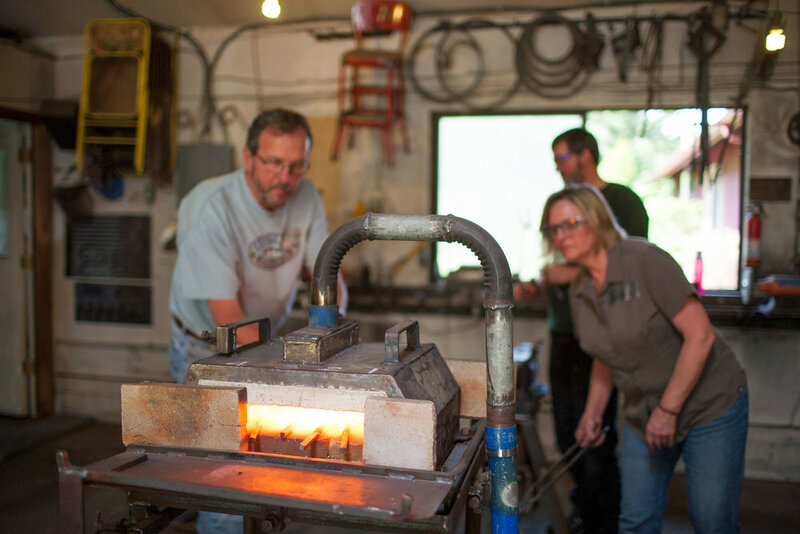 The Introduction to Blacksmithing class is normally scheduled for the first Saturday of every month. 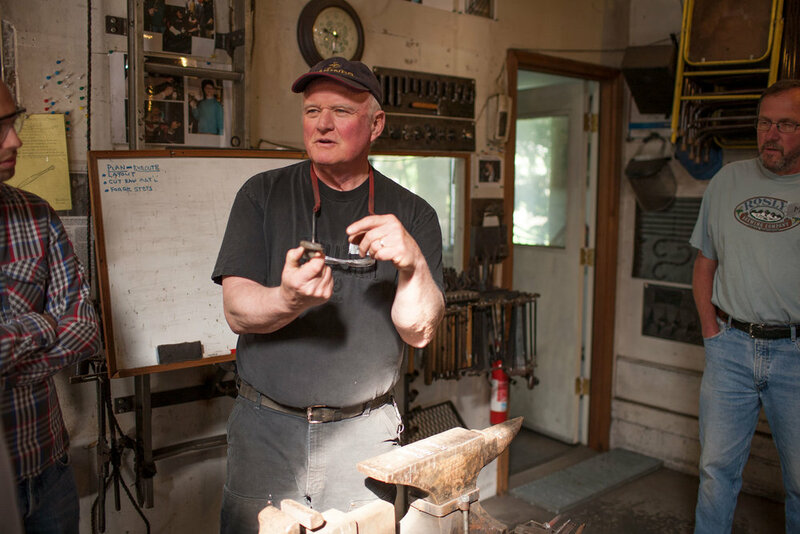 Often times individual students want to take private lessons after taking the Introduction to Blacksmithing class. Individual classes are structured to each person's particular interests and abilities. Private class fees are $60/hour with a two (2) hour minimum. Securely holding and controlling a hot work piece is the primary purpose of blacksmith tongs. This class will show students how to improve the tong jaws, joint and reins design, forging, assembly and fit. Flat jaw, box, flat bar, pick-up and other tong types will be addressed. Discussions include tong handling, size, material, forging style, and history. Students will take away their own custom designed and forged tongs incorporating the information learned. PREREQUISITE: Introduction to Blacksmithing class or instructor's approval. The scroll form is one of the basic design elements of classical and contemporary architectural and sculptural ironwork. This class covers this key design, forging and assembly techniques required to produce attractive and structurally strong screens, grills, gates, and other decorative accessories. 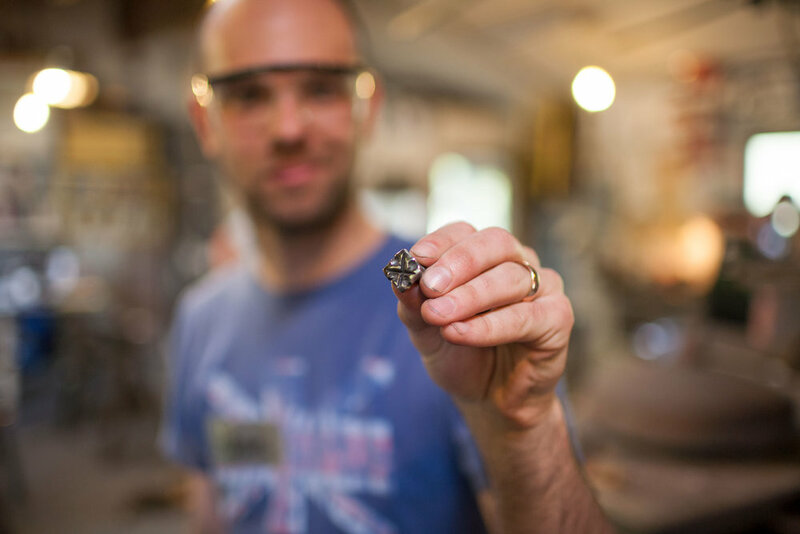 Students will design and create a scroll set that will serve as a guide for future production at their own forge. Learn to safely use a "Stick " arc welder, "MIG" wire feed arc welder and a "Gas Cutting" torch. Learn, select and use the most basic and practical welding rod and wire types for virtually all of your equipment fabrication and repair needs. Learn and use fundamental weld preparation, grinding, clamping and fabrication set-ups. Finally, learn how to select equipment appropriate for your own basic shop welding needs, sources of new and used equipment, and costs involved.